At Raupack we supply complete tablet Packaging and tablet counting machines that your operation will need. We supply pharmaceutical factories across the UK and Ireland. 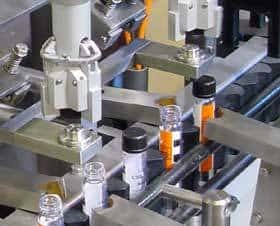 The machines can be supplied either as mono-block machines for up to 60 Bottles per minute or as lines with dedicated machines for each step at speeds up to 200 bottles per minute. 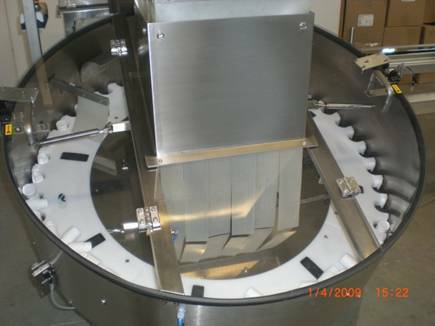 All our tablet packaging machinery is designed for fast changeover and maximum size range. 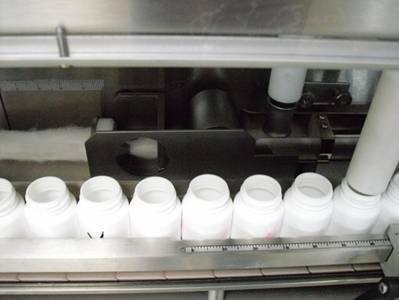 As the first part of the tablet packaging line, our Bottle Unscrambler is designed to sort plastic bottles into the correct orientation. 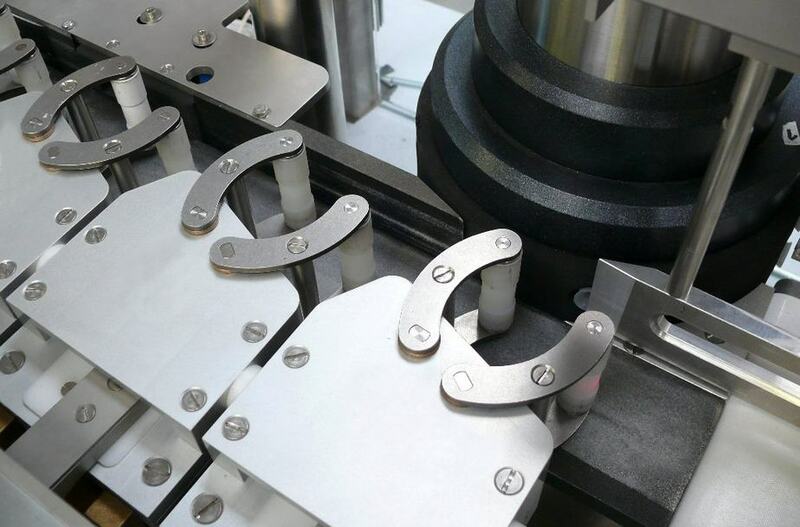 The machine is supplied with change parts for different bottle sizes and offers fast changeover which is vital in maximising operating efficiency. The Bottle Cleaning machines are very popular because of their speed and efficiency in removing dust and debris from the bottles. This compact air rinsing unit turns the bottles upside down to allow particles to fall out before blowing and sucking out debris. This air cleaning machine is capable of handling up to 200 bottles per minute. An air rinsing module is also available in our Mono-block Tablet Counting Machine. All our Bottle cleaning machines can be fitted with de-ionisers. The CremerTablet counting machines guarantee 100% count accuracy. Furthermore they can be supplied with our Broken Tablet inspection system. The Cremer tablet counting heads can be supplied either as part of a Mono-block machine or as a standalone counter. The Desiccant inserting machine can insert up to 4 barrel or sachet type desiccants into the same bottle. 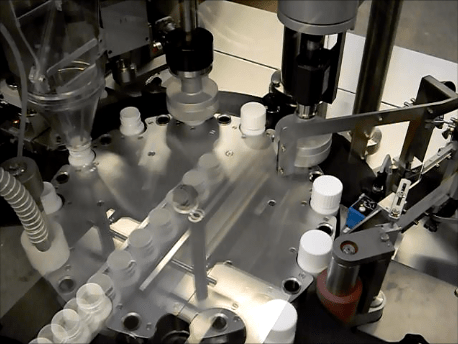 We can design the Desiccant Inserter so that it can insert both types into the same bottle. The Desiccant Inserter can also be integrated onto our range of mono-block capping machines. Our Cottoner places the cotton into the bottle as an inverted U (n) ensuring that there are no whisps protruding out of the Bottle. 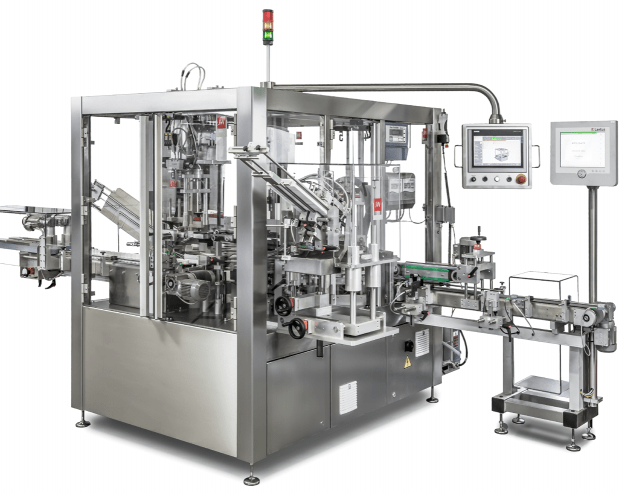 Capping Machines and Re-torquing machinery are standard parts of the Tablet Bottling Line and are optionally available with servo spindles which provide better torque control. 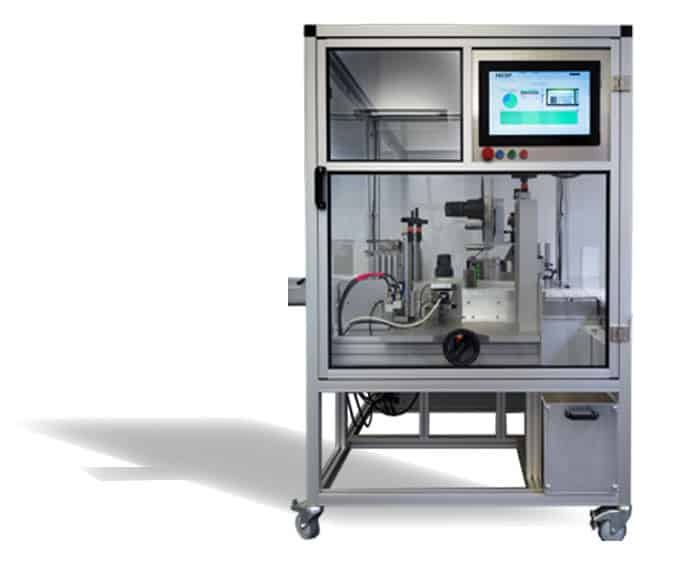 Our Bottle labelling machine is available as a standalone labeller for outputs above 60 bottles per minute or as a part of the mono-block tablet bottling machine. 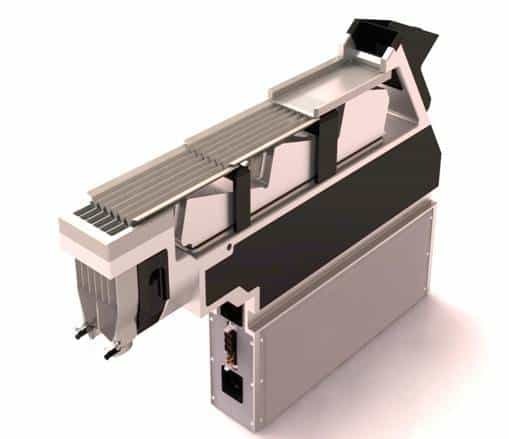 Our Outserter , (Top-serter) and Sideserter modules can be fitted with bowl feeders to automatically feed the leaflets. This significantly reduces manual labour costs. In addition, our Powder filling machine can be integrated into the tablet bottling line with a bypass to offer maximum flexibility. 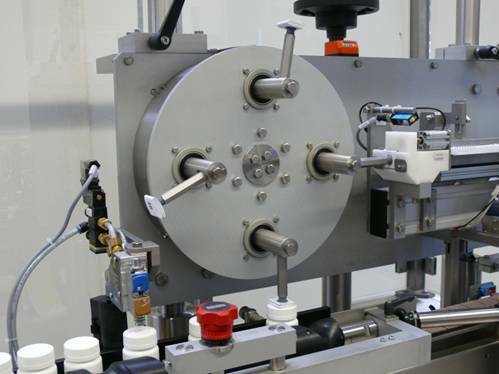 Unique to our supplier Deckert, we offer a Mono-block Tablet Counting line that includes air rinsing, counting, labelling and broken tablet inspection at speeds of up to 50 bottles per minute. This machine is extremely space and cost efficient. One of the leading brands in the cosmetics industry, Barry M have recently purchased a fully automatic vertical cartoning machine to pack nail varnish bottles into cartons. The machine was delivered to their main manufacturing site in London and they couldn't be more satisfied with the system since.